The Brazilian Government has recognized the usefulness of several Complementary Therapies, this is why there are several federal and local laws that endorse them. Energy Medicine modalities are included in these laws, and the specific situation of Reiki in Brazil will be discussed in this article. In March of 2017, the Health Department of Brazil established a National Ordinance that officializes the display and utility of several Integrative and Complementary Therapies. This Ordinance is a sum of 6 previous regulations and includes therapies such as Art Therapy, Meditation, Music Therapy, Naturopathy, Osteopathy, Chiropractic, Reflexotherapy, Reiki, and Yoga, among others. This means that in Brazil exists a National Policy of Integrative and Complementary Therapies, which the Federal Government endorses and funds. This is a big development towards Holistic Healthcare and Integrative Medicine. It’s a hands-on therapeutic practice that channels vital energy with the purpose of promoting an energetic equilibrium, which is necessary for a physical and mental well-being. It strengthens the places where the body is blocked -”energetic knots”-, getting rid of toxins, stabilizing cellular processes, and restoring the flow of vital energy, also known as Qi, Chi, or Prana. Such acknowledgement coming from a Federal Government media is impressive and encouraging. This is not coming from any New Agey website, or a Reiki Volunteer Association or similar, but from the same Ministry of Health. The practice of Reiki perfectly responds to the new paradigms of healthcare, which include aspects of consciousness, of the body and the emotions. 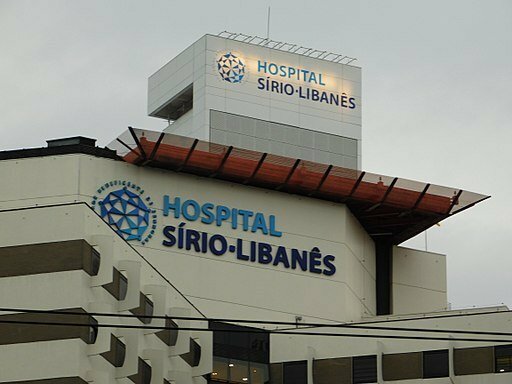 According to Wikipedia, the Syrian-Lebanese Hospital is one of the most important hospitals in Brazil and South America. It was founded by the large Syrian and Lebanese community of Sao Paulo in 1921. It is one of the most well-known health facilities in Brazil due to the high quality of care. Reiki Therapy is included in the Integrative Care Program that this Hospital has to offer, (among Acupuncture, Yoga, and others). They refer to Reiki as a global treatment that works on all human dimensions (physical, emotional, mental, and spiritual), contributing towards well-being and quality of life, lacking any side effects. This facility was founded in 1938, and it was the first governmental hospital in Brazil at the time. The Volunteer Association of the Hospital Complex of Mandaqui organizes and provides alternative therapies such as Reiki and chromotherapy. The volunteers started treating patients with morbid obesity, hepatitis, and ostomized people, and it’s now expanding to other medical areas. Reiki is already present at the Base Hospital in Brazilia, this is one of the biggest facilities of the Federal Network of Hospitals, and is also a part of the Unified Health System. Reiki therapy is also present at the Peter the Apostle Hospital, the Basic Units of Health of Pozos de Caldas, the Santa Isabel Hospital, and at the Sao Joao del Rei Hospital. There are so many Hospitals in Brazil that provide Reiki therapy that I just included an exclusive selection. It is clear that the acknowledgment and funding by the Federal Government allow for this kind of therapies to better disseminate through the country, giving the patients a very powerful and economic tool for their health and well-being.